We're happy to offer our DC readers the chance to attend a free early screening of Pet Sematary! The latest adaptation of Stephen King's horror stars Jason Clarke, Amy Seimetz, and John Lithgow. The screening takes place on Wednesday, April 3rd at 7:00pm at AMC Mazza Gallerie. If you'd like to attend, simply go to the Gofobo ticketing site here. Please remember that all screenings are first come first served and you must arrive early to ensure receiving a seat. Enjoy the show! 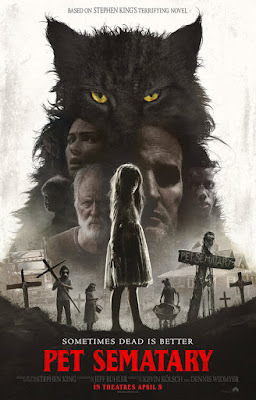 Pet Sematary opens April 4th.